In the laboratory, you will often come into contact with many caustic chemicals in the process of manufacturing medicines. Therefore you need a temperature measuring instrument which is resistant to aggressive media, e.g. thanks to a glass casing. Calibration of static temperature sensors, temperature measurements in the cosmetics industry, chemical laboratories, the field of cooling and refrigeration technology, the food industry: the testo 735-2 multichannel thermometer can master virtually any application thanks to a wide range of optionally available sensors, a super-size memory and wireless data transfer. 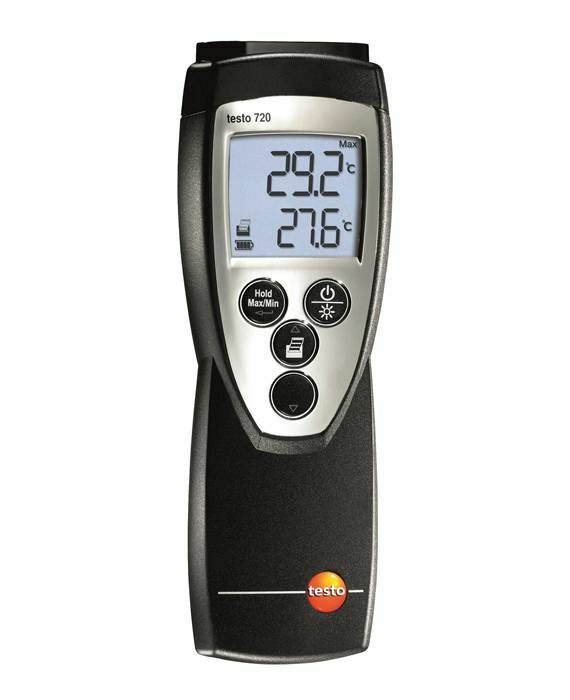 The testo 720 digital temperature meter is designed specifically for the special needs of laboratories and the industry and comes with a wide range of optional connectable sensors for surface temperature, air temperature and immersion measurements. 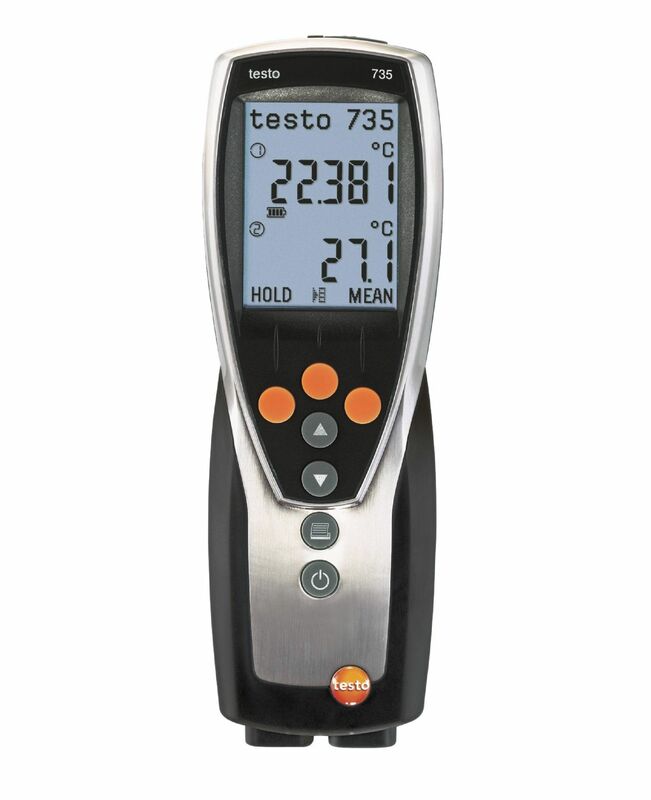 If you need a measuring instrument for accurate temperature measurement or you would like to measure the temperature in several locations simultaneously, the testo 735-1 is the ideal equipment for you. The wide selection of optional probes enables flexible use of the temperature measuring instrument, for example to calibrate stationary temperature probes, in the electronics and food industries or in laboratories.